Doughbot is a clever new app with a singular purpose in mind -- to get you donuts when you need them the most. 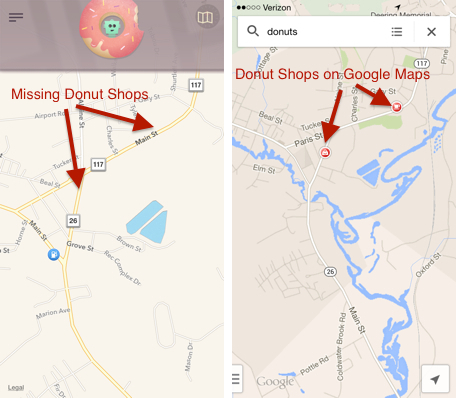 The app uses your location and displays the nearest donut shops either in a list or on a map. The app pulls its donut shop listings using data from Yelp, Yahoo and Instagram, providing you with directions as well contact information and reviews. With just a few taps, you can read what others have to say about the donut shop and view an overview map with highlighted driving directions to the store. Doughbot is only as good as its donut shop listings, which, unfortunately, were variable for me. The app worked superbly in cities, but was spotty in the rural area in which I live. I tested the app in two nearby cities, Portland and Lewiston, Maine, and had an abundance of donut shops from which to choose. In my rural hometown, though, the app did not pick up the local Dunkin Donuts or Tim Hortons, directing me instead to a location that was a few towns over. Doughbot is useful for the city dweller or traveler who wants to find donuts at a moment's notice. 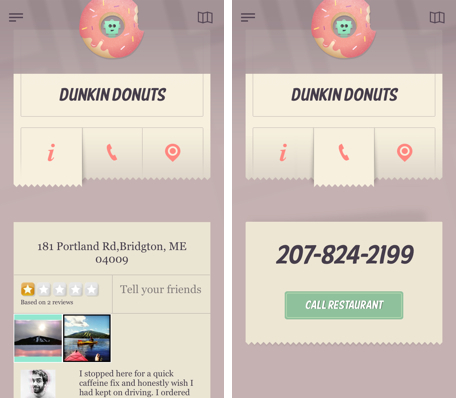 The app is easy to use, provides all the contact information you need to use to hunt down donuts and throws in some reviews so you can avoid clunkers that are selling stale wares. You can download Doughbot from the iOS App Store for 99 cents. 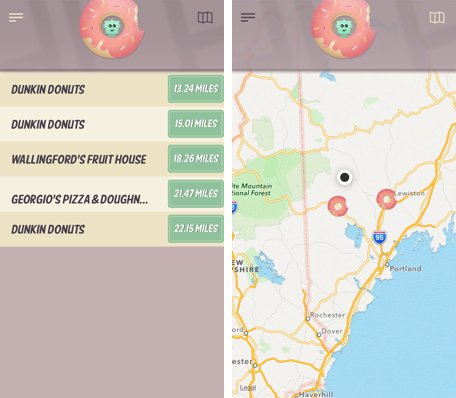 Weekend App: Doughbot brings you to donuts when you need them most originally appeared on Breaking Apple News, Tips and Reviews from The Unofficial Apple Weblog on Sat, 05 Apr 2014 14:00:00 EST. Please see our terms for use of feeds.